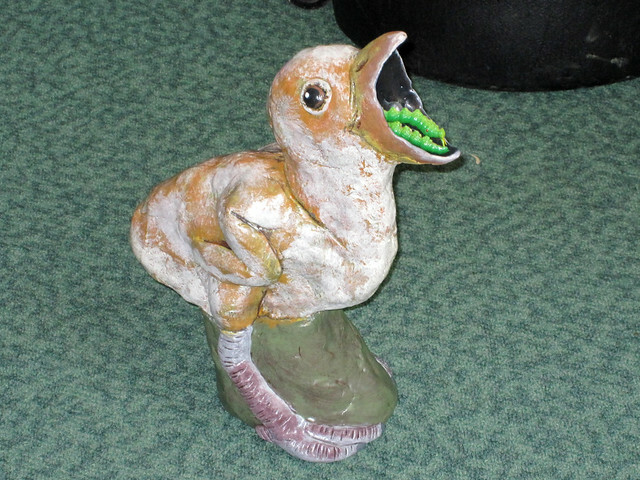 The 20th International Migratory Bird Day (IMBD) was celebrated last week, on May 12th. Arthur visited Disney’s Animal Kingdom theme park, where the day was observed through various activities highlighting many different species of birds. 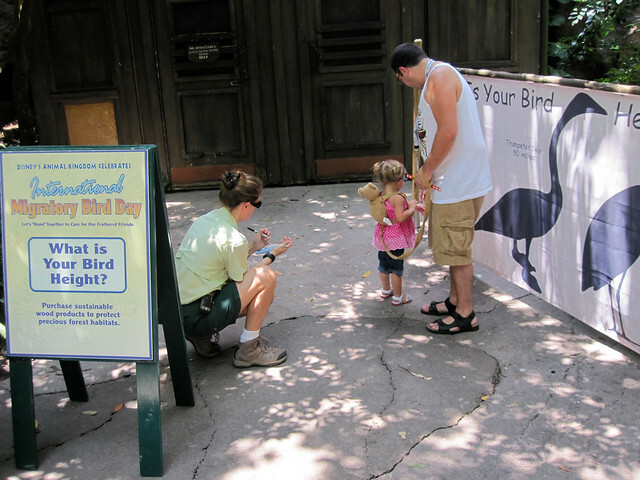 Guests entering the park could be “banded” and then visit various “stations” in the park to have data taken, like leg length, “bird height,” and migration distance. 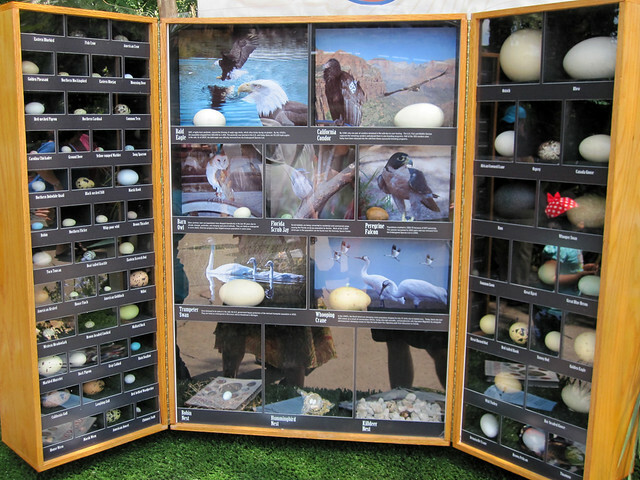 Throughout the park, stands and kiosks were set up to share information about birds and how people can help them. Providing Purple Martin housing, the importance of shade-grown coffee, and saving shorebird habitat were among the topics shared. 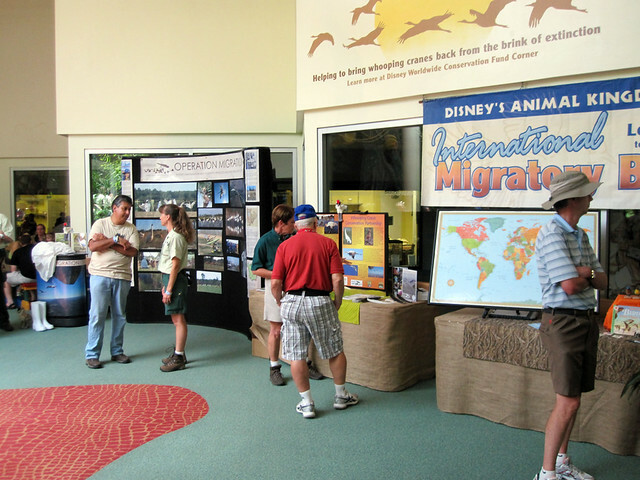 Rafiki’s Planet Watch hosted several activities. 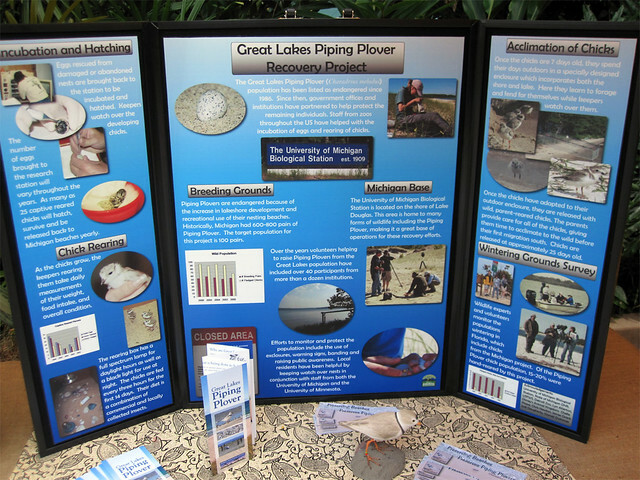 A new, permanent exhibit on the Whooping Crane program Operation Migration was unveiled. 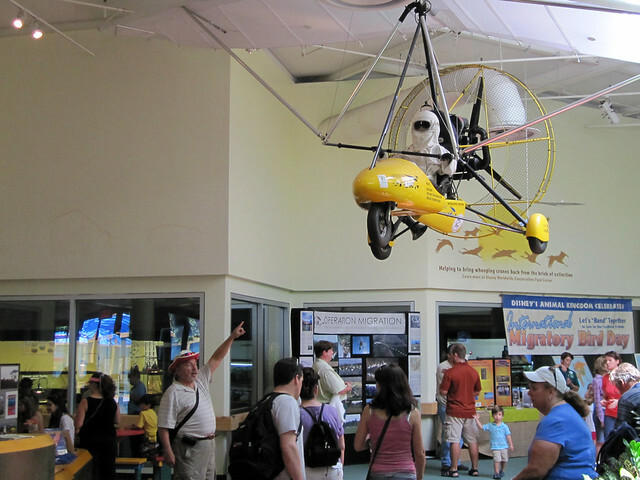 The exhibit includes a retired ultra-light airplane used to teach Whooping Cranes to migrate. 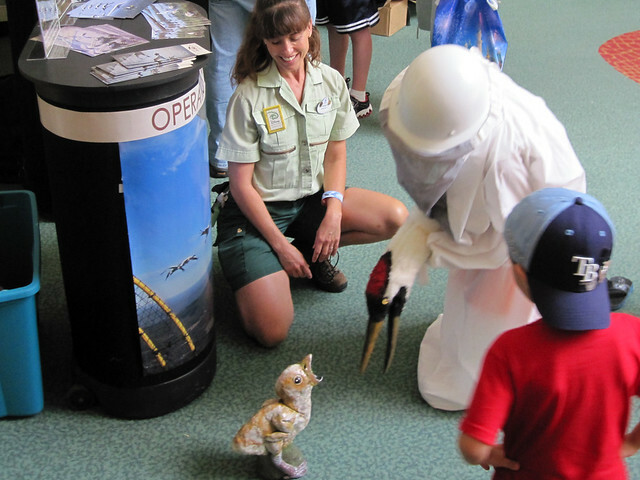 Guests were invited to dress up as a Whooping Crane adult and feed food (rubber caterpillars) to a (model of a) baby Whooping Crane. 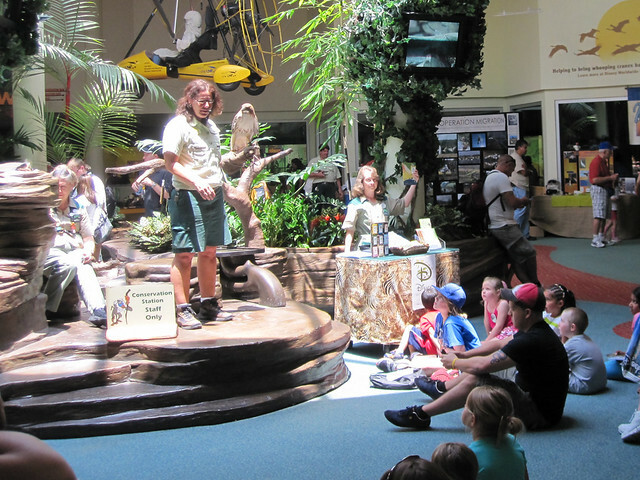 An informal program with an eduction Red-tailed Hawk also took place at Rafiki’s Planet Watch. I like how Disney’s Animal Kingdom celebrates wildlife-themed commemorative holidays, like IMBD and IVAD. Other upcoming events are listed at the bottom of this post. This entry was posted in Disney, Festivals & Events, Holiday. Bookmark the permalink.